Sunshine, 50-degrees and corn snow – perfect springtime shred weather. Or if you happen across a serious ‘January Thaw’ like we’re use to in the Midwest, that works too. These are the days when you don’t need a big, bulky winter glove, but a little protection from the wind and the gnar would help. Enter POW Glove’s High-5. A lightweight glove, often referred to by many as a ‘park glove’. The High-5’s feature a thin, lightweight construction that is extremely flexible and formfitting to your hand. First impressions reminded us of gloves worn by mechanics. Throw a pair on, grab a ski pole or your board and you will realize the sweet epoxy/silicon coated palm is more function than form. You can grip whatever you want and not worry about losing it. 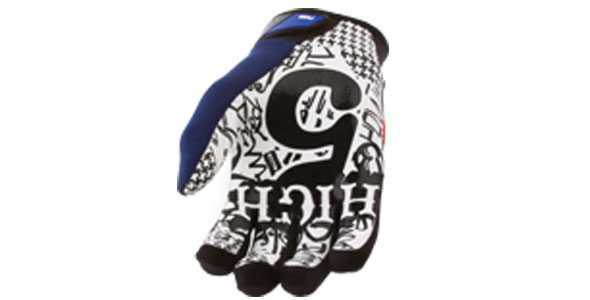 The POW High-5 glove and mitt have a waterproof palm and breathable backside. 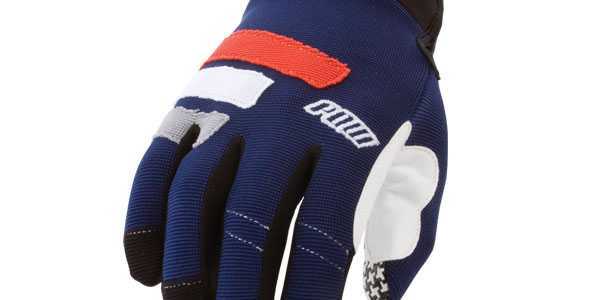 Clarino is a synthetic leather POW uses on the thumb and fingertips of their gloves. It’s wind, water, stain and mildew resistant. 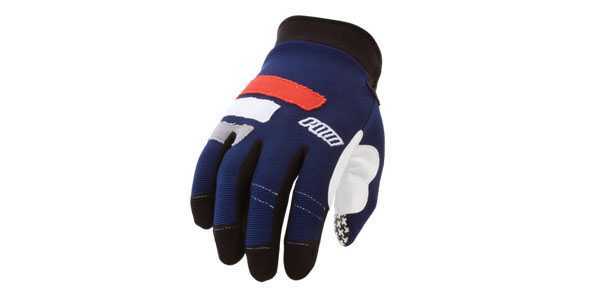 Comfortable and stylie glove that’s great for spring conditions and perfect for those days when you don’t want gloves on at all. The epoxy/silicon palm is excellent at gripping a ski pole or carrying your gear. Sizes run fairly true to typical glove sizes. If you wear a medium, you’ll wear a medium. Back is very breathable, as it’s designed to be. 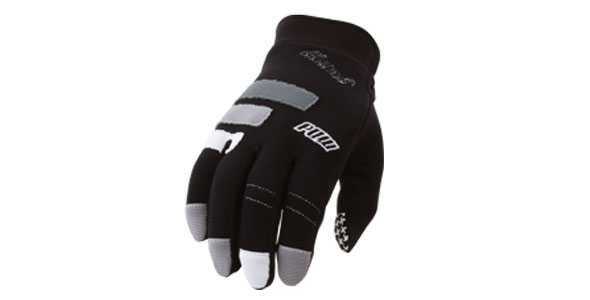 Remember – it’s a lightweight, warmer weather glove, not your blowing 40 and minus-15 glove. If you snag a pair that are white (ours white/black) the white was pretty much discolored after the first day.